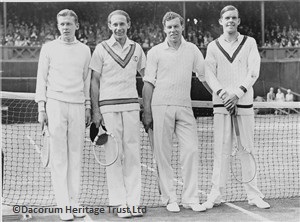 The title of Dacorum’s greatest sporting hero should go to J.C Gregory for his achievements in the world of tennis, even though he was only an adopted son of the borough. 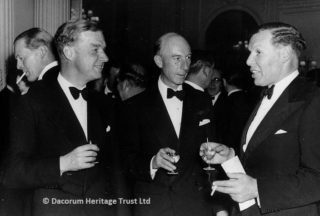 John Colin Gregory was born Yorkshire on 28th July 1903 but spent his working life in his surgery on Alexandra Road, Hemel Hempstead. By the time he was 16 he was already showing great promise winning the North of England Boys Tennis Championship. 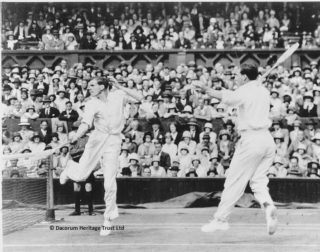 From then on his achievements in the tennis field came thick and fast: Yorkshire singles champion 1923 to 1927, 1930, 1931 and 1949; doubles champion 1924 to 1927 and 1930; and mixed doubles champion 1924 to 1927 – making him unbeaten triple champion for four years. He represented England in the Davis Cup in 1926 and from then until 1930 represented his country in 13 ties. Then came the war years and afterwards he was non-playing captain of the British Davis Cup Team from 1949 to 1952. He was with the team in Belgrade that last year when Geoff Paish was injured and needed to be replaced as partner to Tony Mottram in the doubles. Colin played himself, by then he was aged 49, and they beat S.Laszlo and J.Palada 6-4, 1-6, 9-11, 6-2,6-2, so that Britain won the tie 3-2. 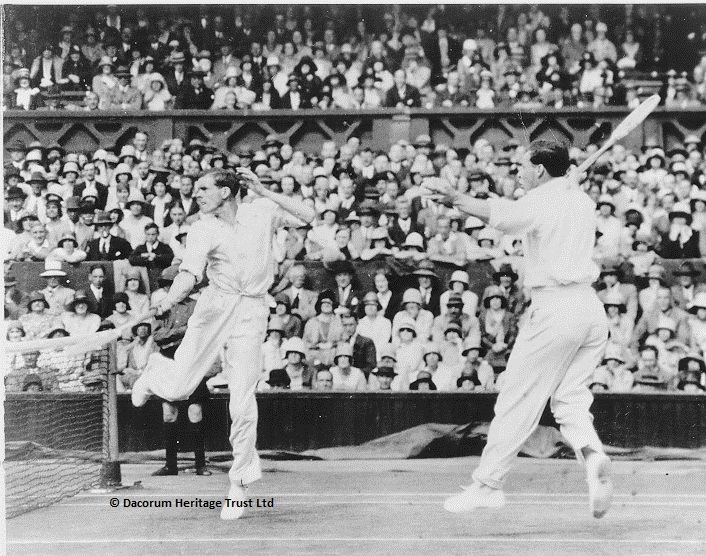 Twice he was a singles quarter finalist at Wimbledon and reached the final in the men’s doubles there in 1929. From 1955 he was chairman of the All England Lawn Tennis and Croquet Club and it was in his dressing room at Wimbledon that he died on 10th January 1959 after playing tennis with his son and daughter and Dan Maskell. In 1934 he came to Hemel Hempstead to join in practice with Doctors Gilroy and Young, who had their surgery at the bottom end of Alexandra Road, almost opposite the old Fire Station. Two years later, Dr Gilroy retired and the practice was renamed Young, Gregory and Gilruth. At this point Dr Gregory was appointed physician to West Herts Hospital with responsibility for medical and maternity patients. In his early days he lived at Barton Lodge, which was at the junction of Midland Road and Alexandra Road. Later he moved to Orchard Lea in Tile Kiln Lane, Bennetts End. Dr Gregory used to hold surgeries at his Tile Kiln Lane house for Leverstock Green residents. My parents and I were patients of his, and he was very highly thought of, and very caring. He was not one of those medical practitioners who opposed the introduction of Nye Bevan’s NHS in 1948.